Musashi Hand-Forged Samurai Dragon Katana With Scabbard - Clay Tempered 1095 High Carbon Steel Blade, Hardwood Handle - Length 41 1/2” | BUDK.com - Knives & Swords At The Lowest Prices! Our Musashi swords are known for their high performance, attention to detail and custom designs - a tribute to legendary swordsman, Miyamoto Musashi. 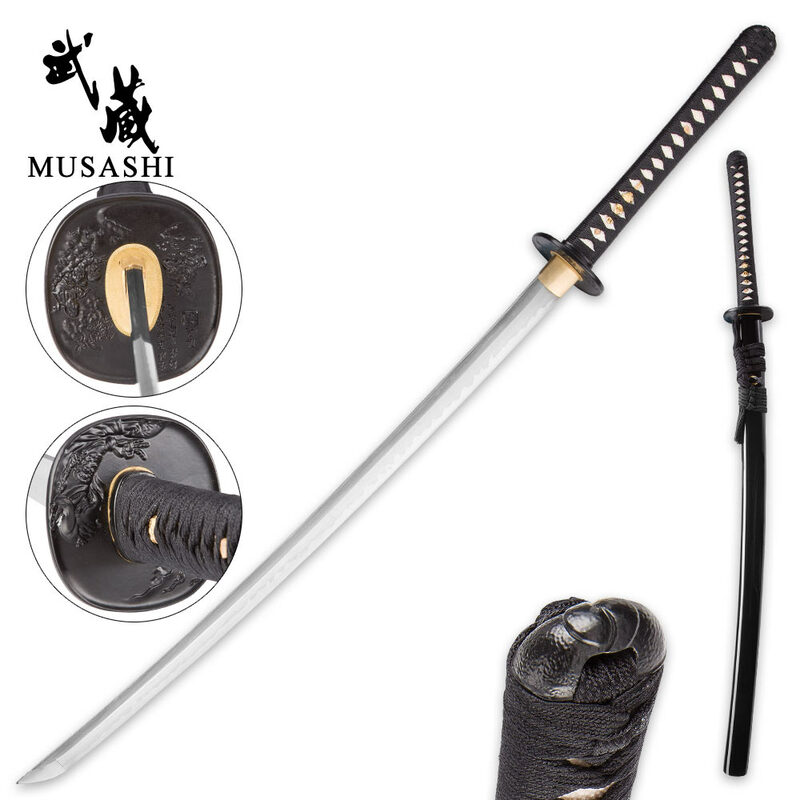 The Musashi Samurai Dragon Katana features a beautiful, 28” hand-forged, clay-tempered 1095 high carbon steel blade that is razor sharp and has a visible hamon line. The 58 HRC blade extends from a solid, brass habaki. 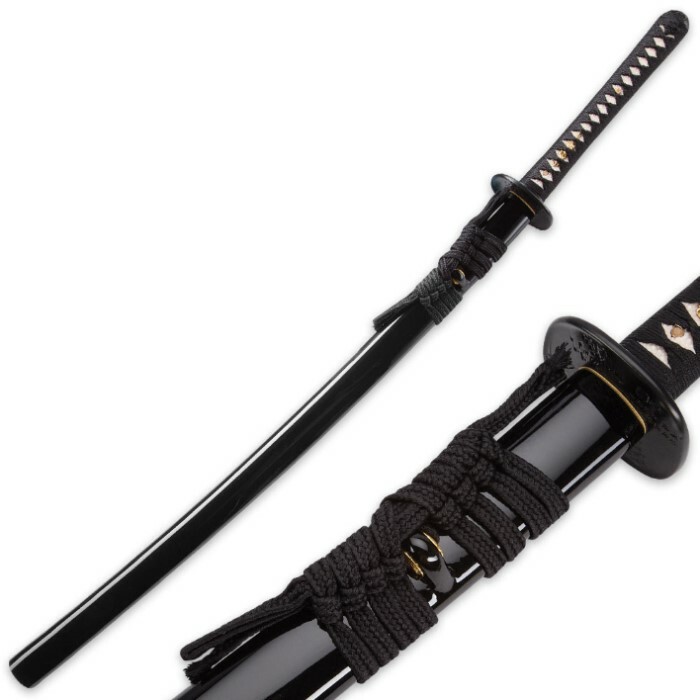 The katana has an ornate black iron tsuba and the hardwood handle is wrapped in black cotton cord and genuine rayskin. The 41 1/2” overall length sword slides into a black lacquered scabbard and comes in a decorative bag and protective box. A cleaning and maintenance kit is included with this magnificent handcrafted sword, along with a certificate of authenticity signed by the swordsmith.